I will be guest presenting on Social Media at the upcoming MBA Primer. The MBA Primer is a great DePaul program, that assembles a focussed series of topics taught by DePaul faculty (and folks like me). I enjoyed the session last year, and look forward to doing this again. Registration is open, and the message below should help you discover more. I will be teaching on the 29th April (Naperville) and 1st May (Loop). Register Today and Earn credit with DePaul’s MBA Primer Program or Entrepreneurship Primer Program DePaul University’s Management Development Center (MDC) offers a 15-week “mini-MBA” program that will keep you current in today’s changing business environment, enabling you to learn new business concepts and update management skills you already have for a fraction of the price of a traditional MBA program. The MBA Primer Certificate Program provides an overview of managerial theories and techniques, ideal for those looking to better understand business practices, update current skills or are contemplating enrollment in a traditional MBA or other graduate business program. Taught by experienced industry professionals and faculty from DePaul’s prestigious Kellstadt Graduate School of Business, this program can also be applied as a credit waiver for one elective course if you continue with your MBA at DePaul University. Register today. Classes begin March 11th in Naperville and March 13th in the Loop. DePaul University is offering a 15-week Entrepreneurship Primer Certificate Program where individuals will gain a theoretical MBA foundation as well as practical, real-world skills to launch a business venture. The program is taught by DePaul faculty as well as experienced entrepreneurs, and is designed for leaders, corporate employees, and others with an entrepreneurial spirit. Register today. Classes begin March 19th in the Loop. 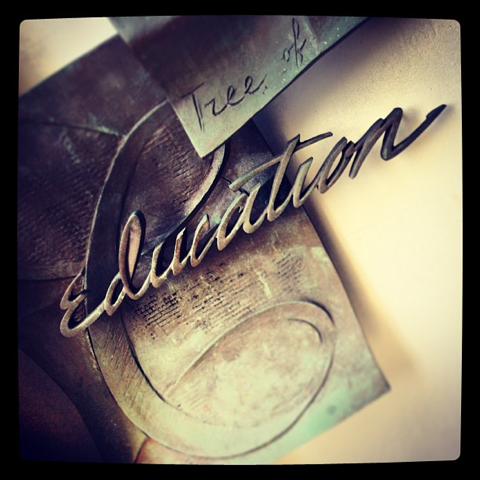 For more information about MDC programs and offerings, please visit our website at cpe.depaul.edu/mdc or contact Eilish McDonagh at 312-362-5295. Do you want to improve your business skills in 2014? Are you thinking about getting your MBA? Enroll in DePaul’s MBA Primer this February!If you’re interested in continuing your education in the field of business, then DePaul’s Management Development Center offers courses to set you on the right track.The MBA Primer Certificate Program will enhance your managerial skills and give you a better understanding of the latest business theories and practices. Taught by industry experts, this 15-week program will give you an overview of the fundamentals taught in a traditional MBA program.Here’s what one of our students has to say: “DePaul University’s MBA Primer Program gave me a fresh perspective on the latest thinking in business. It was truly an investment worth making and has already paid dividends in helping me grow our business.” –National Business Manager, Waste Management Inc.The next program begins on February 4th at DePaul’s Naperville Campus and February 6th at the Loop Campus.Not sure if the MBA Primer Program is right for you? Why not come to our FREE MBA Primer Information Session on January 22nd from 5:30pm-6:30pm at the Loop Campus to learn more? Instructors and program staff will be there to answer your questions about the prerequisites and benefits of DePaul’s Primer programs. The Office of Student Involvement (OSI) has come up with the Photo of the Day for the month of May. DePaul students (and staff and faculty) may want to tag their tweets and Instagram pictures with #DPUPhoto. Social media can be a useful tool for outreach, research, and student interaction. Learn what you can do (and what to avoid). Blogging is a powerful and efficient way of facilitating communication. It can be an effective means for your students demonstrate literacy, to engage with media, to opine, to cite, and to remix. Which blogging software to recommend to your students. How to avoid FERPA violations. How rubrics can guide your students towards best practice. How to monitor student postings. To RSVP or for more information, please visit the Technology Tuesdays page. 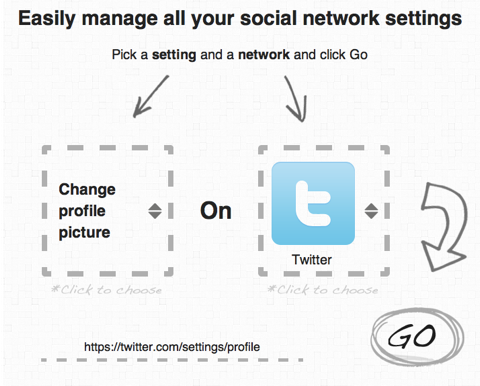 Bliss Control is a nice little website that provides (ifttt-inspired) links to configure your social media settings. Worth a look. When you look at the new Facebook page design, you’ll notice that you can choose a large image and also specify your profile picture. We recommend that you maintain your current profile picture (which for many of you is the DePaul logo and/or optimized DePaul signature). Make sure you have copyright permission to use the photo. If it was professionally taken, make sure you’ve purchased online rights from the photographer. If it was taken by a student, make sure you have the rights to use it. Make sure it’s eye-catching and good quality. Some photos look fine when they are small but are grainy or otherwise unattractive when they are large. Luckily, you can preview them. If you can, make it distinctly DePaul. Nearly every university can show a student sprawled in the grass studying. What photos do you have that make us special? Remember that you can’t use images from DePaul’s website without permission from EM&M. You can change these photos regularly. You may want to develop a set of images that you rotate. DePaul Blue Demons has already made some changes to their Facebook Page - please take a look. DePaul’s Real Estate Center and the Chaddick Institute for Metropolitan Development are hosting a conference on the impact of social media and technology on how and where we work, live and shop. The conference will take place on Feb. 29. What does that mean for the size, shape and number of stores needed? How do property owners manage an influx of packages? How do digital social networks translate into physical spaces in multifamily properties? What effects does technology have on office space and furniture? More information can be found on their events page. 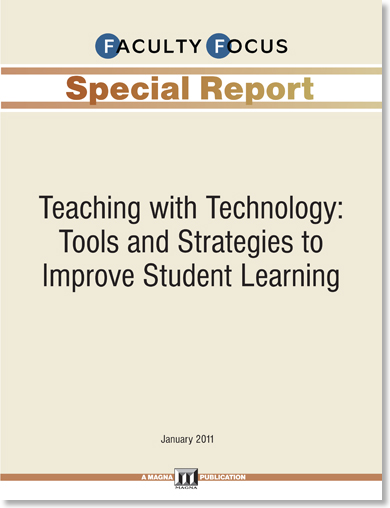 Faculty Focus recently shared a free set of articles on Teaching With Technology, written by John Orlando, PhD. The articles are short and helpful - I think the advice may be of help to faculty and staff at DePaul. You can download a copy by following this link. 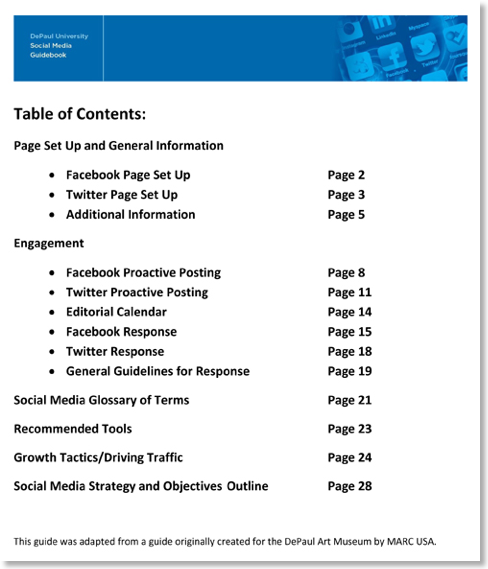 DePaul’s EMM (Enrollment Management and Marketing) has posted the new Social Media Guidelines. This document was developed by Marc USA for DePaul’s Art Museum, and the modified somewhat to address the overall university audience. VLInks Media was nice enough to demonstrate their mobile social media solution for universities and students to me on Friday. I don’t see an immediate fit for Commerce online and graduate students at the moment, but I think this may be of interest to EMM and outreach to prospective students. 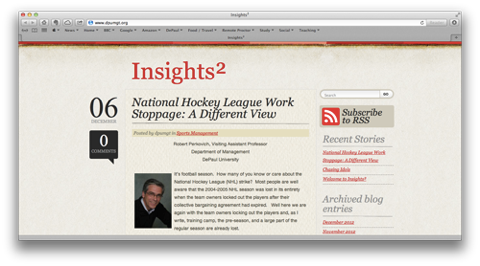 However, I am taking a deeper look at their mobile apps…. Douglas Lee Miller (DePaul’s New Media Manager for Career and Money Management) organized an event here at DePaul to be part of Social Media Week 2011 in Chicago. The topic of the event is a meetup/discussion about Higher Education and Social Media. Please spread the word. Event details can be found here. 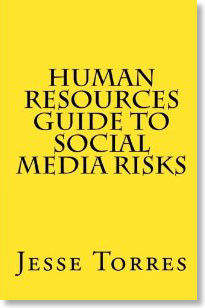 Jesse Torres was kind enough to send me a copy of his new book “Human Resources Guide to Social Media Risks.” This well researched and easy to read book is timely and informative. I would highly recommend this to both human resources professionals and social media mavens. 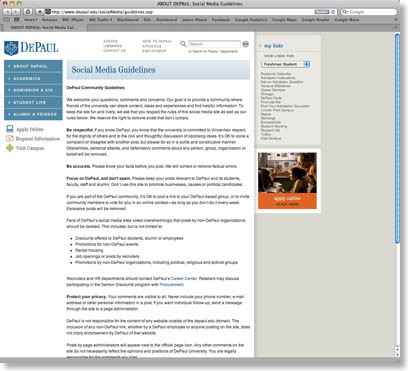 The university created a set of guidelines for participants in social media sites managed by DePaul. These guidelines explain how the university expect commenters to behave on our sites, and what actions we will take if they violate them. For example, if people post ads for outside entities, DePaul will take them down. Those who post must remain civil or their posts will be removed. The guidelines are designed to be applicable to any type of social media site. I am due to present at the 26th Annual Conference on Distance Teaching and Learning on Friday, August 6th, 2010 (Teaching with Twitter and Google Wave). Somewhat ironically Twitter is down and Google has announced that it will discontinue Wave. So it goes. The presentation is from 12:45 - 1:30 p.m. in the Hall of Ideas J. Come along and say hello. Handouts and more information are on the website. Justin Gillmar reminded me of the Code of Best Practices in Fair Use for Online Video PDF that American University’s Center for Social Media produced. I think it is worth reposting it here. Tim Mojonnier, who teaches in Management at the College of Commerce, has posted some recaps of Social Media Club Chicago that are worth reading (and responding to). You can find these on his blog. The conference will feature segments from professors in the College of Communication and the College of Commerce. The proceeds of this conference will go to an on-campus organization that raises money for children in Northern Uganda (Invisible Children DePaul). The conference registration fee is $79 for the public, but free for DePaul Students, Faculty and Staff. Naturally, I will be tweeting. I intend to use the #Clearcut2010 hashtag. Jim Carey at Northwestern University pointed me in the direction of TokBox - a free video chat and messaging service. Works pretty well, and worth investigating.